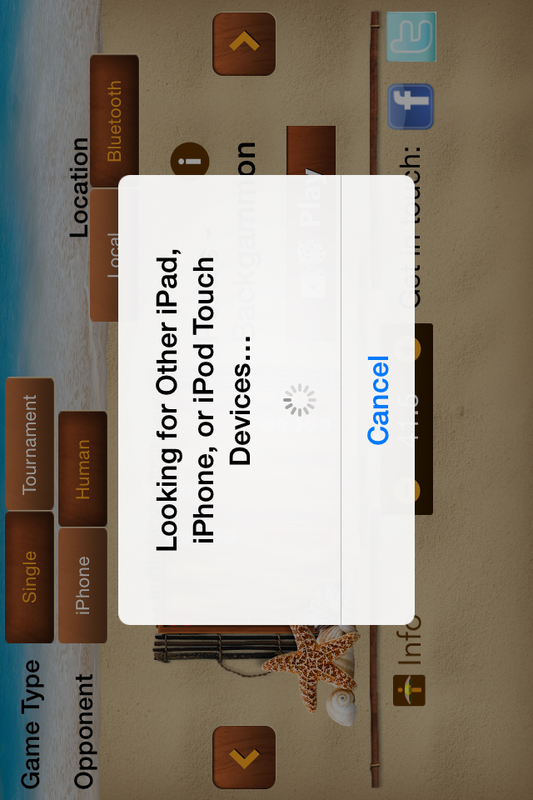 This is the screen that you see when you run the iTavli app. 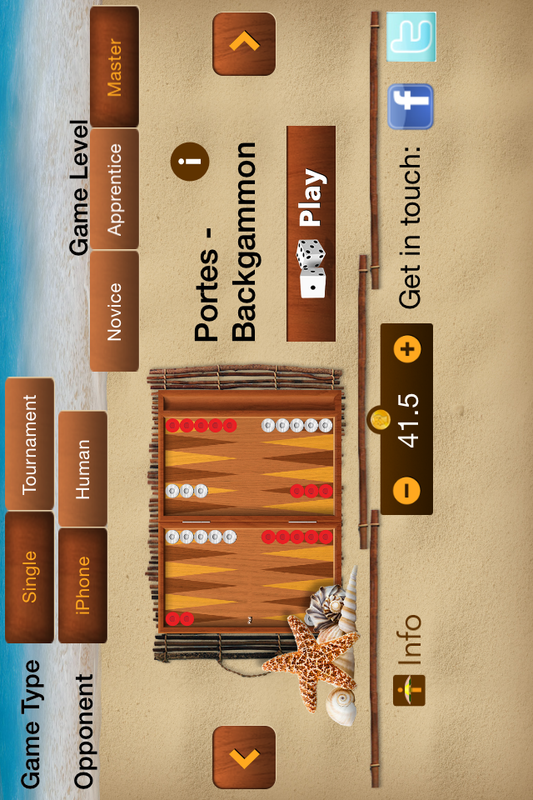 Here, you can select the game type, your opponent, and the difficulty level (if your opponent is the iPhone). If you want to start a tournament click on the switch next to the word "Tournament". When you start a tournament you specify the winning score, and you play the games that you have purchased (the Portes game is free of charge) until one of the players achieves the winning score. While you are playing a tournament, if a player has managed to collect all the chips before the other player collects at least one chip, that player earns two points. Otherwise, the winner of a game earns one point. 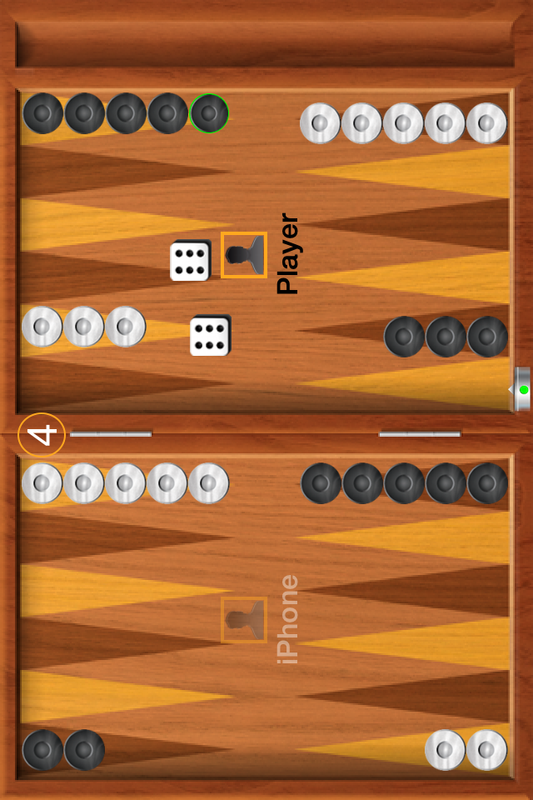 If you like to play against the iPhone (A.I), then select the "A.I." as your opponent. You also need to select the difficulty level. 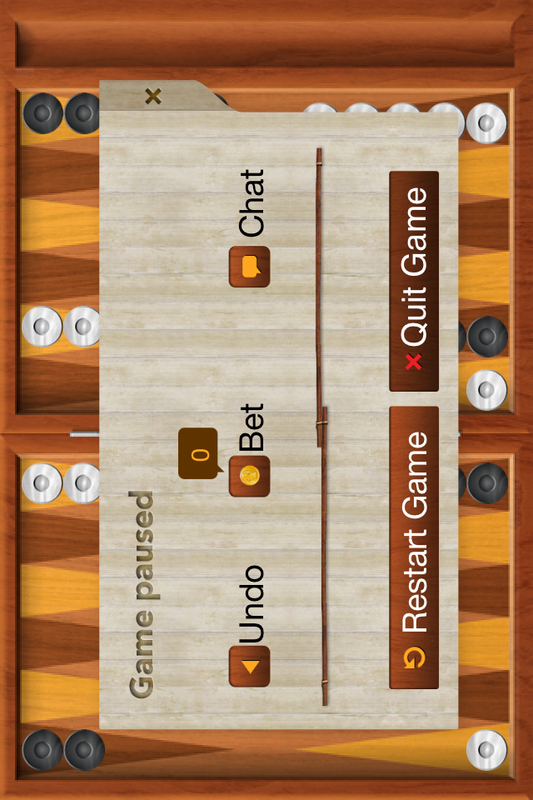 The "Novice" level is for those players who do not really know how to play the game. The "A.I." is not smart at all, and pretty soon you will be able to beat it. At the "Apprentice" level the iPhone is a little smarter than in the first level. Finally in the "Master" level, it will perform its best to beat you. Finally, if you like to play against another human being, you may select to use the bluetooth device (instead of playing on a single device). Select, the "Human" as your opponent, and click on the "Bluetooth". You can play only the games that are purchased by both players. Unfortunately, the API for the bluetooth is not error-proof and you may encounter some problems: For example, you may see this screen forever, and although the devices are adjacent to each other, one device would not find the other device. If this happens, simple restart the application. If you opponent is another Human, in this screen you can enter his/her name. The colour of the chips for each player is set in the "Settings" screen. In the case of playing a game using the bluetooth device, the first player is chosen arbitrarily. 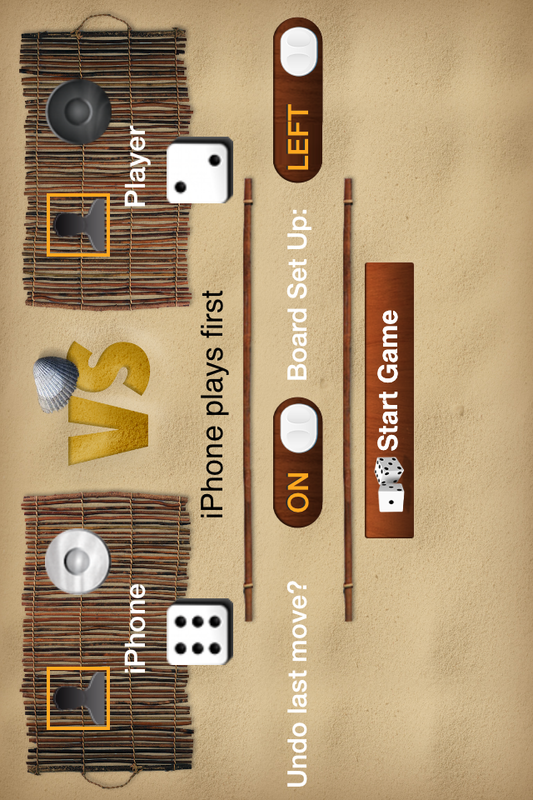 On the other hand, if the iPhone is your opponent, the human will always be the first player. 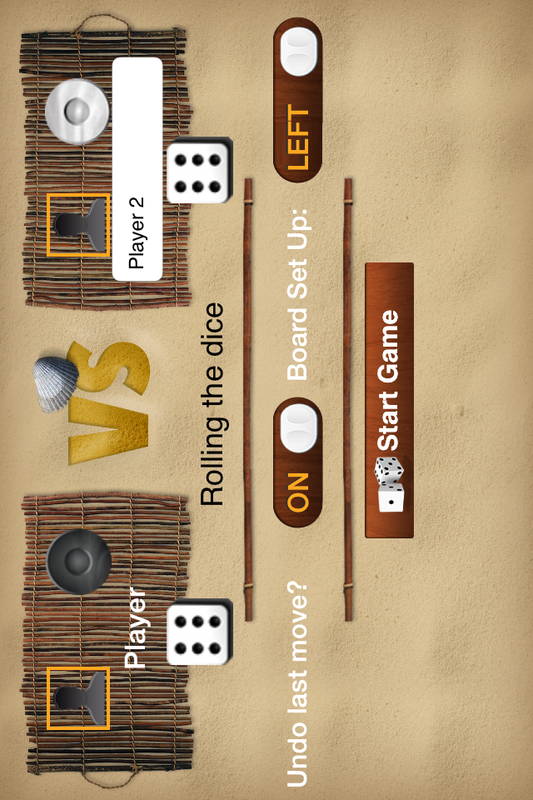 In the next screen we roll the dice to determine who plays first. 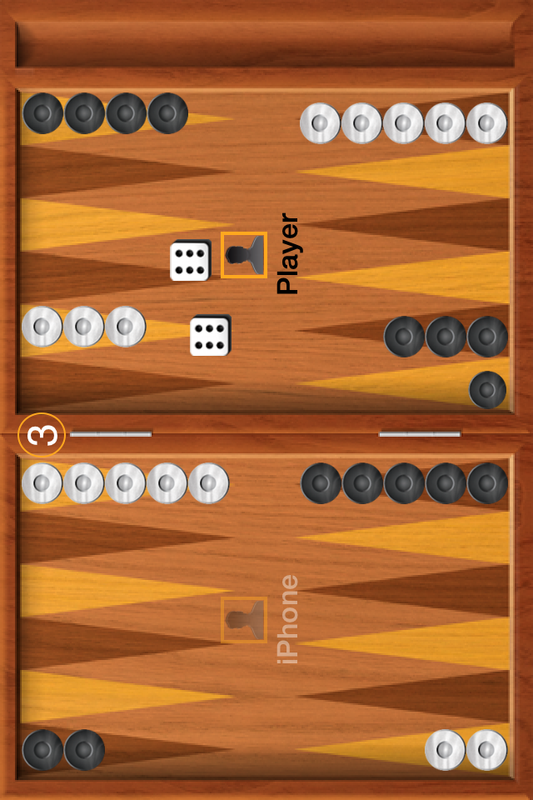 In the case of a tie, the dice are rolled again. Finally, while you are playing a game, you may bring the menu up by dragging your finger horizontally at the center of the screen. The menu allows you to quit the game or restart the game. You can not restart a game that is played over the bluetooth device. If you see a number in a circle at the end of the triangle that number reports the total number of chips that lie at that space. Once you roll the dice, you select the chip that you want to move. Did you notive the green dot at the border of the board? This green dot shows the possible position(s) for that chip. Since, we are playing the Fevga game, and we do not have a chip in the opponent's base area, we must move one chip as many spaces as the dice dictate. To move that chip, simple touch the triangle which is in front of the green dot. The chip will move to that space. Did you notice that the number of available chips in the base has decreased to 14? Our turn is over, and now is the blue player's turn to roll the dice. When you are collecting chips, you can double tap on a chip to collect it.